The National Hockey League (NHL) and Monumental Sports & Entertainment (MSE) have partnered to raise awareness and commit funds to support the Fort Dupont Ice Arena (FDIA) located in the heart of Ward 7 in the Southeast neighborhood of Washington, D.C. FDIA is operated by the Friends of Fort Dupont Ice Arena (Friends of FDIA), a not for profit 501[c]3. Its mission is to provide increased opportunity, education and inspiration to the young people of Washington, D.C., and the surrounding area, through ice skating, youth hockey and educational activities. FDIA is the only public indoor ice arena located in Washington, D.C., and the only skating facility in the area that provides free or subsidized skating programs to children. The FDIA board pledged a commitment to the City of Washington, D.C., to raise $5 million to bolster the City’s commitment of $25 million for the construction of a new, expanded rink. Now, the board needs the community’s help in reaching its funding goal for this important community project. The $5 million raised by the board would be dedicated to fund the much-needed renovations of the rink. 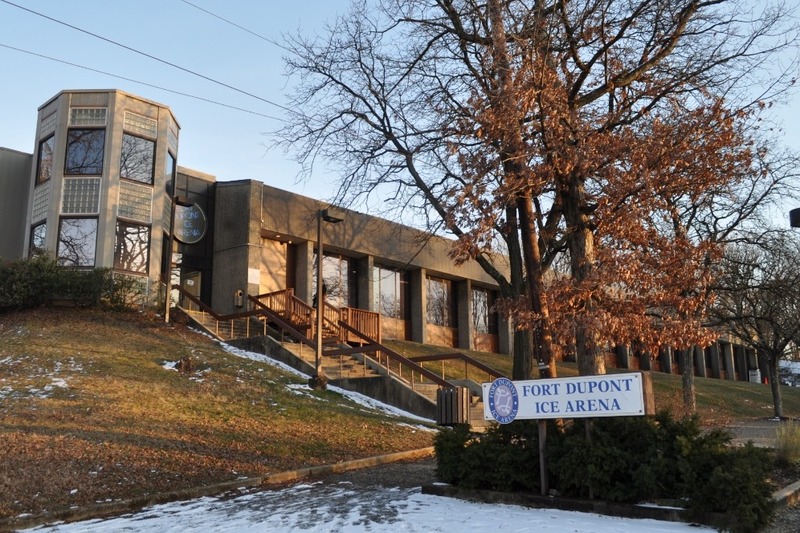 The NHL and MSE, together, recognize the influence and important role that Fort Dupont has had in the local community of Washington, D.C., for more than 20 years. FDIA is a community treasure and a critical facility for young skaters. We hope funding can be provided for the renovations of this rink that offers free figure skating, hockey and skating lessons and is the only public indoor ice arena in Washington, D.C.
NHL Commissioner Gary Bettman and Ted Leonsis, founder, chairman, majority owner and CEO of MSE, which owns and operates the Washington Capitals (NHL), and the Leonsis family will lead this effort by making an initial contribution. The NHL, MSE and Leonsis family will each donate $100,000, for a total of $300,000, with the goal of raising the first $500,000 toward the monies needed for the renovation of the rink. Please join us in supporting the Friends of Fort Dupont in its effort to maintain the rink and continue Fort Dupont’s legacy within the community of Southeast Washington, D.C., and beyond! Donations are tax deductible as all funds will go to MSE Foundation (EIN: 52-2215790), the official charity of MSE and its entities for the use of renovations at Fort Dupont.